BAFTA 2018 - The Winners! 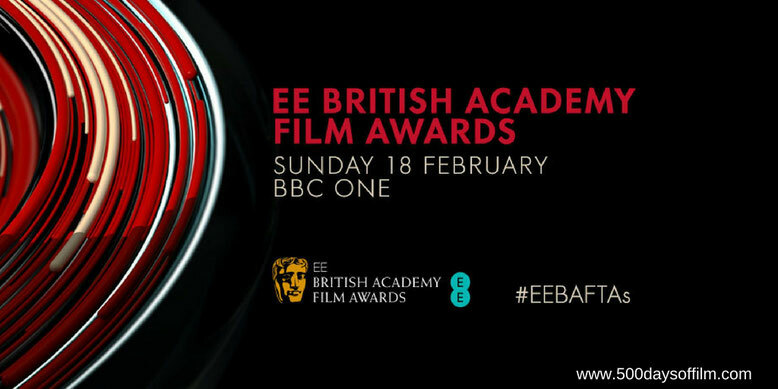 Three Billboards outside Ebbing, Missouri was the big winner at the 2018 BAFTAs, winning five awards for Best Film, Outstanding British Film, Best Original Screenplay, Best Supporting Actor (Sam Rockwell) and Best Actress (Frances McDormand). While The Shape Of Water couldn't quite make good on its 12 nominations, the film still had a good night coming away with three awards - including Best Director for Guillermo del Toro, Best Original Score (for Alexandre Desplat) and Best Production Design. The acting categories went pretty much as expected. In addition to McDormand and Rockwell's wins, Gary Oldman won Best Actor for his transformative performance in Darkest Hour (the film also won Best Make-Up and Hair). Meanwhile, in what was an extremely competitive category, Allison Janney received the award for Best Supporting Actress (for I, Tonya). One of my favourite moments of the evening came when legendary cinematographer, Roger Deakins, won the Best Cinematography award for Blade Runner 2049. Surely this is the year when, after 14 nominations, he is finally also rewarded with an Oscar? Denis Villeneuve's film also won the award for Best Visual Effects. I was also so pleased to see Rungano Nyoni's brilliant film I Am Not A Witch win the award for Outstanding Debut By A British Writer, Director Or Producer. I would wholeheartedly recommend this stunning film about a little girl in Zambia who is accused of being a witch. It came as no surprise when Coco won Best Animated Film. Pixar's film is now surely the safest of safe bets for the Oscar. However, I can't let this moment pass without giving some love to the other two superb nominees: Loving Vincent and My Life As A Courgette. The Rising Star Award (the only category to accept votes from the British public) was another tough one to call. Nominations for this award included Daniel Kaluuya, Timothée Chalamet, Tessa Thompson, Florence Pugh, and Josh O’Connor. Any of these candidates would have been a worthy winner but I was really happy to see Daniel Kaluuya win the award. In addition, I was so pleased to see Poles Apart win Best Animated Short. There were only three nominees in this category and I enjoyed them all. However, between you and me, I loved Paloma Baeza's stop motion animation the best. Click Here For Weekly Film News, Reviews & Events! What Do You Think Of The BAFTA Winners? What do you think of the winners of the 2018 BAFTAs?